"The time has come to trust God, move out, sharing and demonstrating the good news, following His call and living out our callings in every area of our lives, and then leave the outcome to Him." So says Christian author and social critic Dr. Os Guinness in his latest book, Renaissance: The Power of the Gospel However Dark the Times. Dr. Guinness is a contributor to Focus on the Family's The Truth Project. 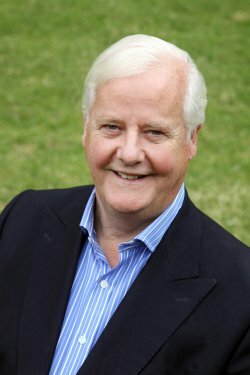 Learn more about Dr. Guinness by visiting his website at www.osguinness.com. The Annual Benefit Banquet is the largest and most crucial fundraiser for CPC, a ministry committed to sharing the gospel of Jesus Christ in both word and deed with women and families unprepared for pregnancy and helping save the precious lives of pre-born children in South Hampton Roads. As CPC continues to save lives, spare hearts and share the gospel of Jesus Christ, needs grow. To put it simply, we can't do this without you! If you have any questions about underwriting or attending this event, please call (757) 410-9703 to speak with Lisa (lisa@cpcot.org) or another member of our Development Team.